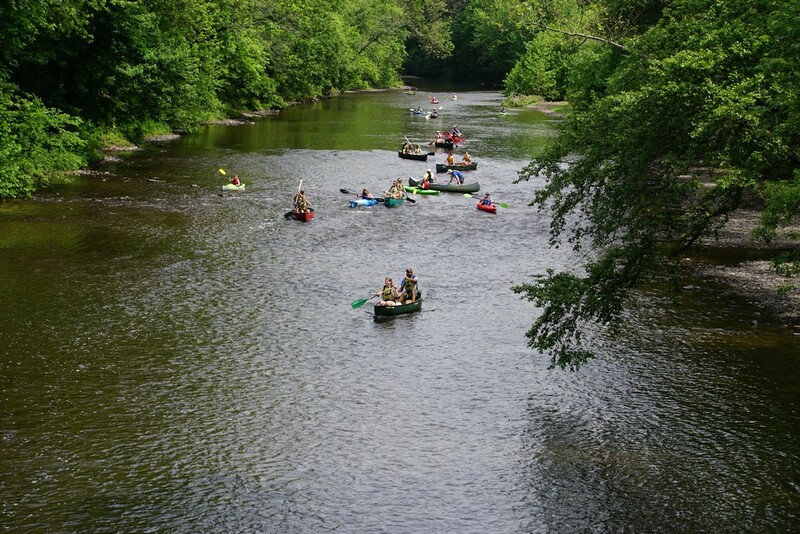 Every year for the past 10 years the Perkiomen Watershed Conservancy has teamed up with the law firm of Keenan, Ciccitto & Associates, LLP, located at 376 East Main Street in Collegeville, to conduct a canoeing and kayaking adventure down the Perkiomen from the Conservancy Headquarters at the border of Schwenksville to Hoy Park in Arcola. 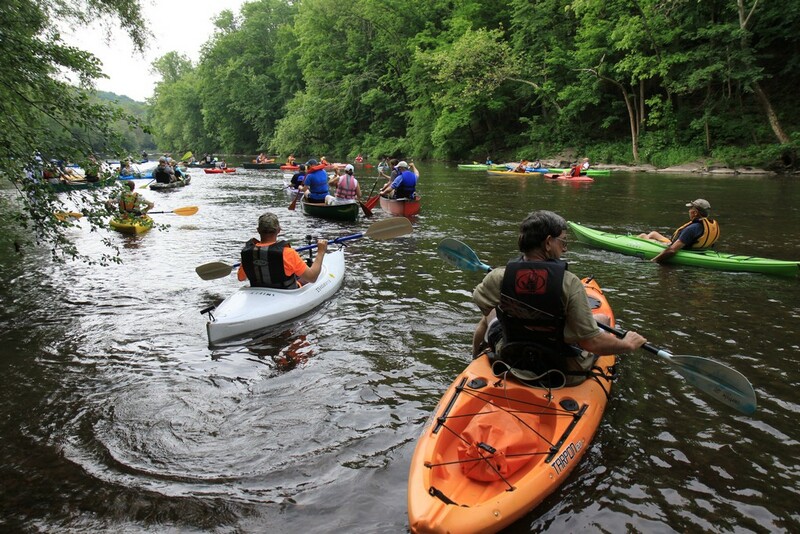 Every year, the Perkiomen Sojourn attracts more participants and becomes more interesting. 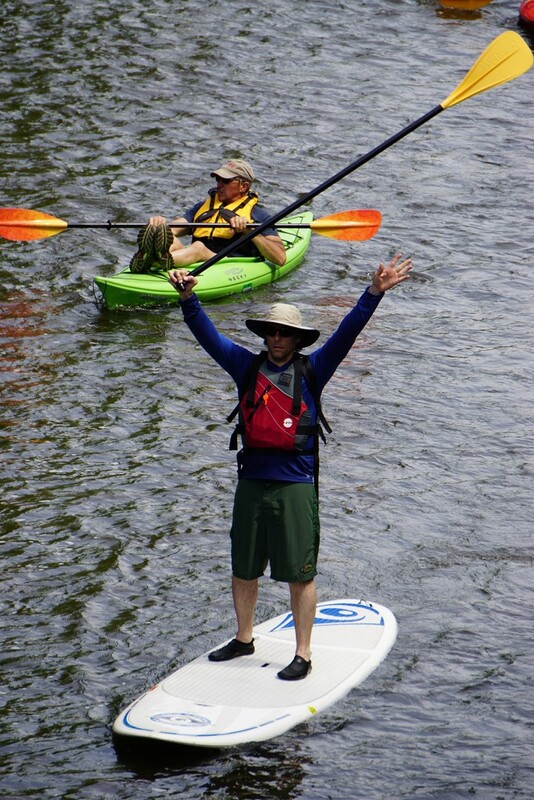 Andy Curtis, a Conservancy Board Member and expert canoeist, brings along a few friends and ensures that there are no disastrous consequences of tipping over in the river. He assists with the few areas where a portage is necessary and makes sure that everyone involved gets through the few rocky sections without any troubles. The scenery on this trip is spectacular. Every year an eagle or two is spotted, a mink is looking hungrily at some chickens, herons are watching us as we pass by. As the trip has grown in size, so has it become not just a pleasant ride, but an educational one. The Conservancy, generally at a lunch break, provides information on the organisms that live in the river and everyone participates in locating them and learning which ones indicate that the river is clean and unpolluted. The sojourn improves every year. Free bus transportation is now available from Hoy Park, our take out site, to the Conservancy before the Sojourn, prior to launch. 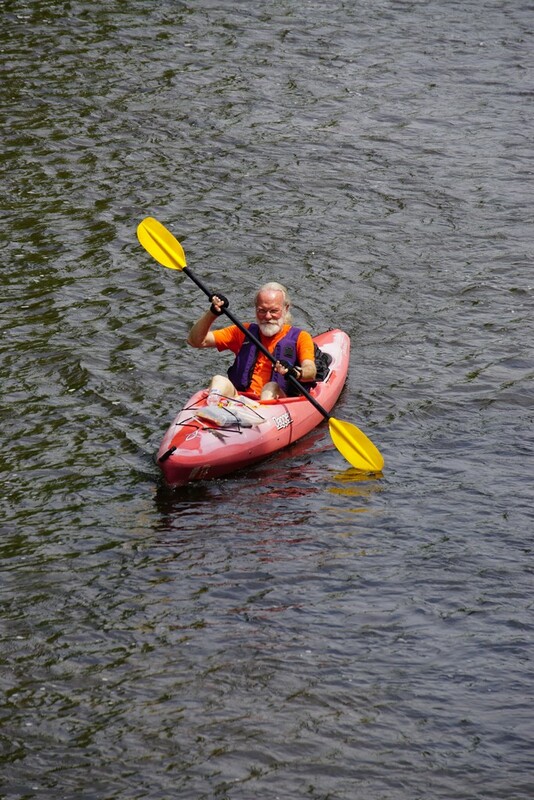 There are canoes and kayaks for rent. 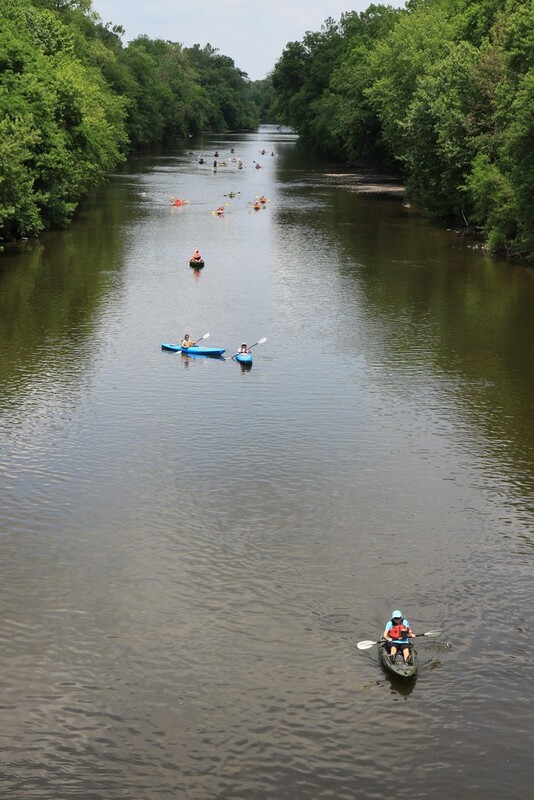 There is a safety instruction and the day before the event, the river is run to make sure there are no obstructions. The sojourn has become a delightful experience for all. 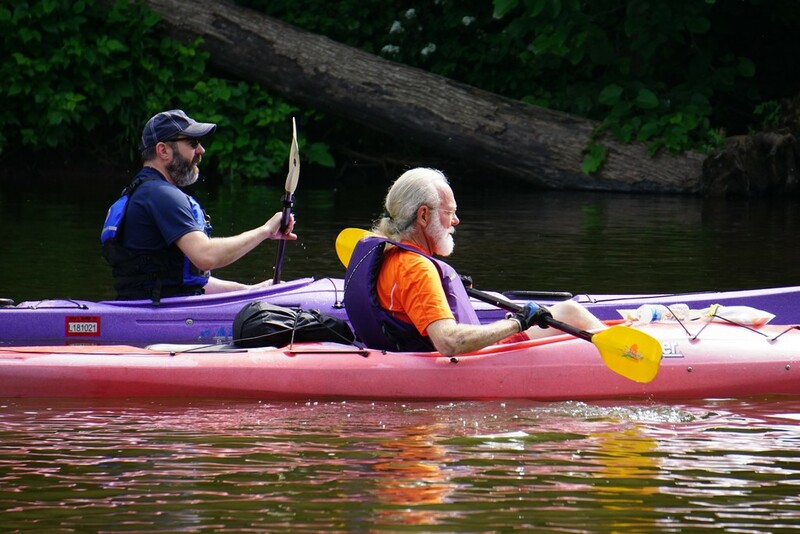 All of the attorneys in the law firm of Keenan, Ciccitto & Associates live in Collegeville and all enjoy the outdoors and sponsoring this event was a decision easy to make. The firm has pledged to participate for the next 10 years and hopes that it becomes more and more of assistance to the Conservancy to preserve this natural wonder which passes through our area. We are looking forward to seeing everyone on June 3, 2017. 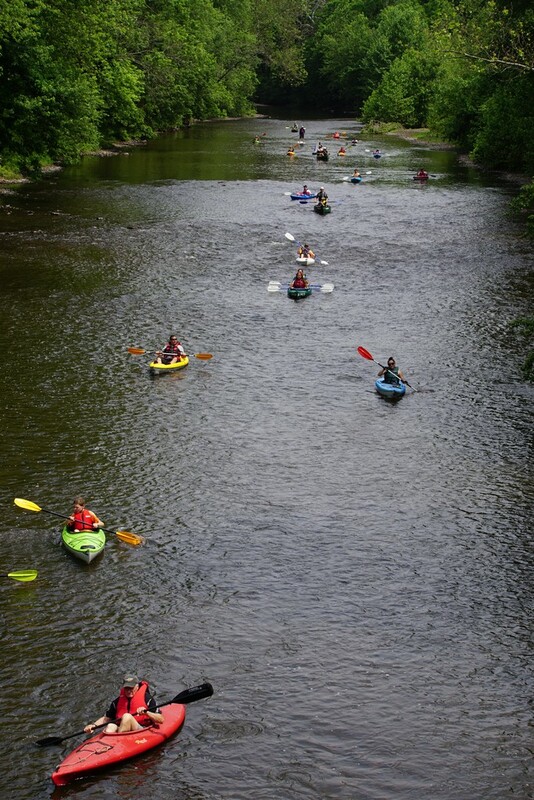 We launch from Red Fox Park across the street from the Perkiomen Watershed Conservancy at 1 West Skippack Pike (Rt. 73) in Schwenksville at 9:00am and our journey ends at Hoy Park along Arcola Road in Lower Providence Township at approximately 3:30pm. Please visit the Perkiomen Watershed Conservancy’s website for more information about the sojourn and to register your attendance at www.PerkiomenWatershed.org. Bring your friends. Bring your children. It’s a great time and a great educational experience for all.